So I turned 30 this past September and I loved celebrating it. I have been counting the days to be able to have a celebration where all my friends could celebrate with me, where I can treat them with hearty food and fine wine underneath big oak trees and a starry ceiling. The thing is, every birthday is a reminder that you are alive. That you were made on purpose for a purpose. God is not done with you yet, you still have time to share His love and to do His work. This realisation brings me so much comfort and joy, especially on the days when you feel that you will never be able to make a difference in this broken and hurting world. When I look at the photographs of my birthday I am overwhelmed by warm and fuzzy feelings. All the hugs, all the laughs, all the friends, all the family. LOVE. Every single person captured has touched my life. I have people that love ME. And I love them. Everyday I will give thanks for the gift of life and my amazeballs husband I get to share it with, but I have realised I have so much more beauty to be thankful for. I am humbled by my Creator, and grateful, that He brought so many faces of kindness, love, compassion and forgiveness into my life. 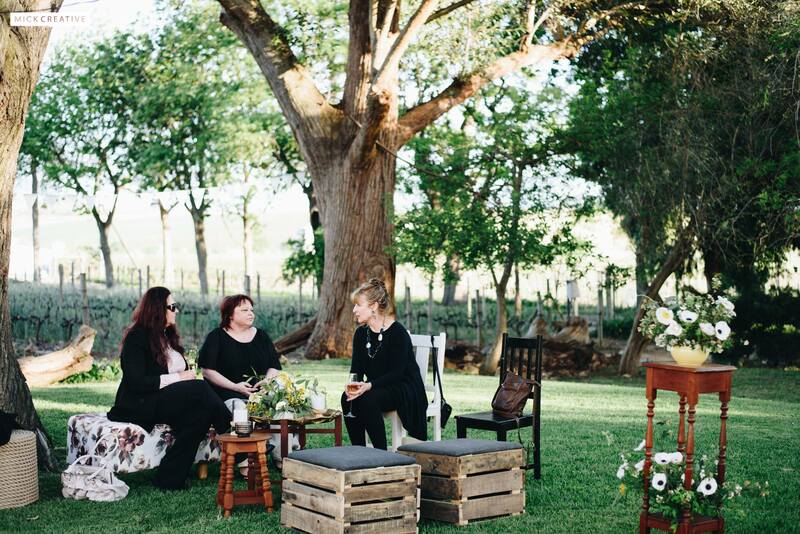 BIG thank you to Micke Mouton for capturing all the love and laughs, JD at Kleine Liebe for the beautiful venue and amaziang food, Lemon & Lime for the fun furniture and bistro lighting, Niel Joubert for the amazeballs MCC and wine , Suzanne from Skoonlief for making me feel like a superstar and Carlos at Function Hiring 4 U for treating me with your beautiful glassware, decor and linen. You guys are the BEST!